DLRT’s Success Is In the Spotlight! DLRT Managing Director, Peter Thomas is joined by Clydesdale and Yorkshire Bank Group (CYBG) colleagues who share in DLRT’s celebrations following the ‘Spotlight’, CYBG Supplier Awards 2018. This is the inaugural year of the awards to recognise the contribution of key partners in the CYBG supply chain. 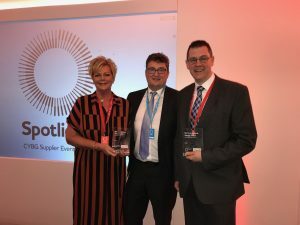 Lisburn-based DLRT were recognised in a number of award categories, having been nominated by Neil Galbally and Carol Ward, CYBG Relationship Managers, for their contribution to the Group. At the event held in the Grand Central Hotel in Glasgow, over 50 key suppliers to the banking group were invited to attend. The Spotlight award categories represent CYBG core values of Be Ambitious, Be Connected, Be Courageous, Be Curious and Be All Over It. As these are the core values of the business, they have been chosen to measure supplier performance against. DLRT are delighted to announce that they have won 2 of these categories; Be Connected and Be Courageous. Peter Thomas, who is seldom speechless, was delighted to collect these CYBG Supplier Awards on behalf of the whole team back in Lisburn and indeed within the wider TALL Group. 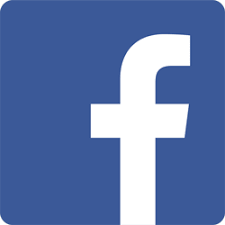 “This is the culmination of years of consistent and open communication between both parties. DLRT pride ourselves in going that extra mile for the customer. It is very much a team effort one and that will be celebrated widely back at base.” He added, “We are very grateful to both Neil and Carol, our Relationship Managers, for their support, and being recognised by the bank for the services we provide. We look forward to many more years working with everybody at CYBG”. Providing a total end-to-end solution to its clients, DLRT Ltd – a CPAS accredited printer – is a member of the TALL Group of Companies, with design, secure print and personalisation of standard ranges of cheque and credit book products its core offering. In addition, DLRT Ltd produces secure documents for government applications, and offers customer-led consultancy services on counterfeit and fraud prevention products and services. After more than three and a half years of very hard and challenging work which involved hundreds of thousands of man hours, the Cheque & Credit Clearing Company announced that the Cheque Image Clearing System had finally gone live on 30th October 2017. However, the system went live with very low volumes at first but gradually the banks and building societies are connecting in their different deposit channels and as time goes on, more and more customers will benefit from the faster clearing timescales. 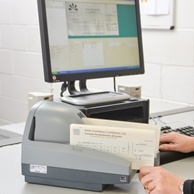 The new clearing system relies on the transmission of a suitable image of the cheque. Join us to hear our panel of industry experts from Digital Check, the Cheque & Credit Clearing Co., DIA Kappa and the TALL Group of Companies discuss the latest developments in cheque imaging, fraud prevention and remote deposit capture. Following the presentations there will be a Q&A session to allow all participants an opportunity to submit questions to the speakers. Sign up to the 4th Annual Cheque Imaging and Remote Deposit Capture Conference now. Please email seminars@tallgroup.co.uk or call 01455 623701 to register a place.